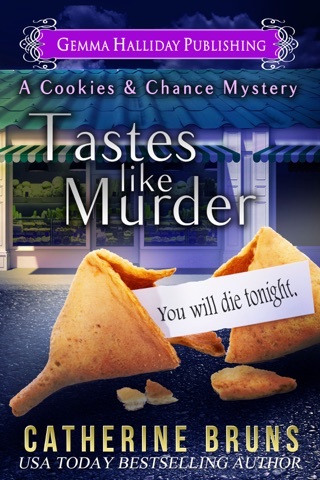 Death Returns to the Cookie Shop…Delicious! 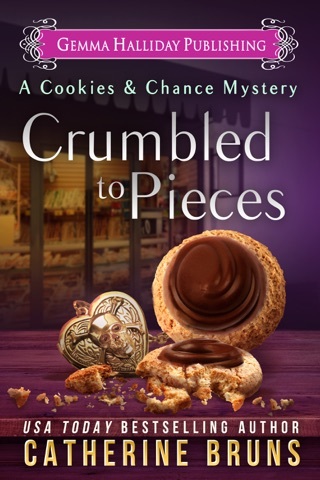 Sally’s cookie shop, Sally’s Samples, is doing quite well, and the news that she and Josie have been selected as contestants in the Cookie Crusades, a Food Network reality baking competition, sends them into joyful excitement. 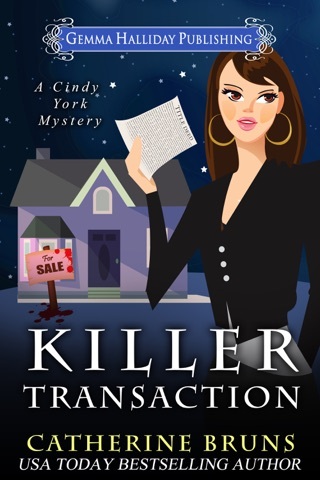 But, excitement is replaced by exasperation when Sally’s ex-husband, Colin Brown, shows up threatening to take away half of her successful business, of course, $20,000 could make his claim go away. However, the Ex turns up dead, and the boyfriend is arrested for murder. Sally sets upon her own investigation. She is shocked by former girlfriends, questionable characters, very competitive competitors, and more than a few avenues of interest. How can things get any worse? Catherine Bruns takes us on another enjoyable ride. Sally’s difficulties with the death of her ex and dealing with her former in-laws were written so well, I really felt bad…where’s Karma hiding from book 1? The drama at the baking competition was exactly how I thought it would be since I am a Food Network fan: behind-the-scenes, Sally and Josie partnership, and the drama among the other competitors. We are again treated to wonderful recipes, not just Catherine’s favorites, but actual recipes connected to the story. 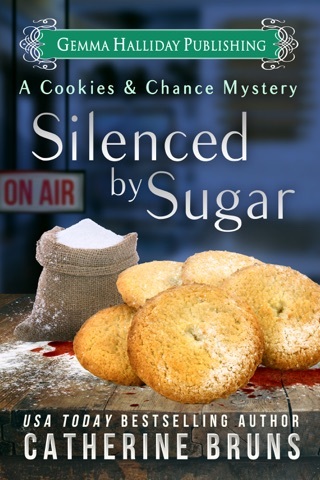 In this book we have Spice Cookies with Pumpkin Frosting which are the perfect holiday treat, along with the Cookie Crusades entries for Josie’s Jelly Cookies, Coconut Macaroons, and Brownie Biscotti. 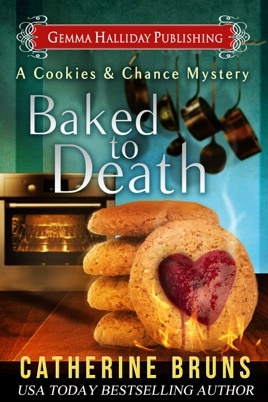 First off I want to thank Catherine Bruns for giving me the opportunity to read and review Baked to Death. I couldn't put it down. I love how this series is progressing. 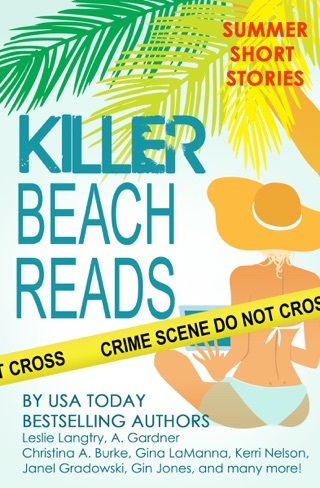 This book moves at the perfect pace to get to know all of the characters and each of the lives they lead. This book starts out with Sal in a great place in her life. Her bakery is becoming the place to go for the best cookies. She is finally getting her love life in order, maybe she has to decide between two great guys and maybe a third??? And she and Josie have been selected to be contestants on "Cookie Crusades" that is filmed in Florida with a grand prize of $20,000. This would be awesome for business and possibly help expand. This is where the clock strikes midnight on the Cinderella story for Sal! Her ex husband Colin shows up drunk demanding half of her bakery, they get bambozuled by a new hire that turns out to be a spy! Then Sal takes out Josie and her hubby to celebrate Josie's birthday and Colin shows up. He ends up trying to hurt Sal! If all this isn't enough to make your head spin Colin ends up murdered. Yikes!!! What is Sal going to do? 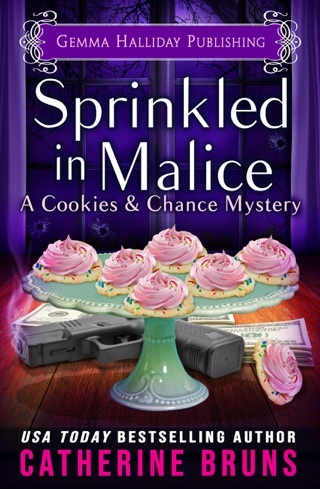 She has to find a way to clean up Colin's mess with the mob before she becomes the next victim. The more I read this series the more I fall in love with the characters. They are so down to earth and believable. We all have a Josie in our lives and hopefully a Handsome man. All this being said I have to admit my favorite character is Grandma Rosa. She totally rocks! She is not only wise but she is hilarious. I almost think she has a gift for fortune telling that the family doesn't know about. She gives the perfect advice at the perfect time. Just like the Fortune Cookies??? I am eager to watch if and when Sal let's go of the past and starts to live again. 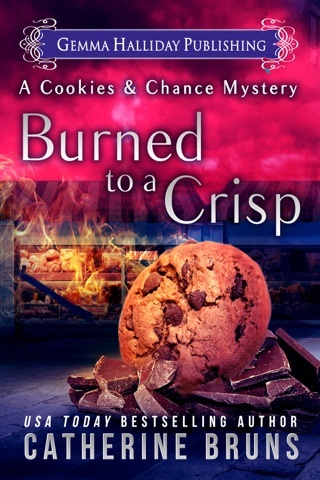 This is a good cozy mystery. Full of twists and turns, and a happy ending. 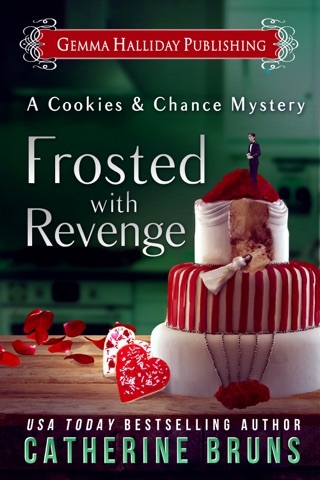 Sally's ex-husband, Colin, shows up and causes trouble for Sally in more ways than one. Her current boyfriend, Mike, is accused of his murder. Sally and Josie are preparing for a reality show competition and Colin has indirectly hurt their chances of winning the competition. Sally sets out to find out who murdered Colin and is causing so much trouble. But the question is... will it cost her her own life?? ?